Southpark - It is a great spot to call home! MLS#3465825. 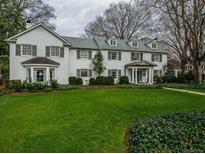 Dickens Mitchener & Associates Inc.
A true gem in Myers Park! MLS#3449069. HM Properties. Walk to shops, theater and restaurants! MLS#3469955. Dickens Mitchener & Associates Inc. Walk Zone priority for Park Rd. Montessori! New windows 2016! MLS#3469042. RE/MAX Executive. The scullery is a perfect prep space with a 2nd Subzero, ice maker and wine fridge. MLS#3469198. Allen Tate SouthPark. 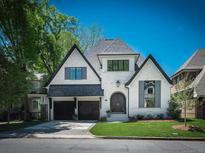 Do not miss this one of a kind Myers Park home! MLS#3461507. Dickens Mitchener & Associates Inc. The large back yard has lots of possibilities for an outdoor entertainment, play areas and a pool. MLS#3469780. Allen Tate SouthPark. Anywhere else in neighborhood you'd pay hundreds of thousands more-this one is truly worth the look! MLS#3470190. Homes with Cachet LLC. HOA includes all lawn maintenance & irrigation. Estimated completion: 4th quarter 2019 MLS#3469314. Simonini Realty Inc.
HOA includes all lawn maintenance & irrigation. Estimated completion: 4th quarter 2019 MLS#3469309. Simonini Realty Inc.
Also Manor Theater, restaurants, Starbucks, Laurel Market, Harris Teeter and much more! MLS#3468079. Dickens Mitchener & Associates Inc.
Great expansion possibilities as well! Eastover Elementary district! MLS#3468713. Peters & Associates. Buyer will work with builder to select finishes and other specifications. MLS#3467413. HM Properties. Ten minute commute to uptown or Southpark. Do not miss! MLS#3458562. Dickens Mitchener & Associates Inc.
Cotswold - Please contact listing agent regarding any of these options. MLS#3465755. Nestlewood Realty, LLC. Downstairs den and laundry. Refrigerator is negotiable. Sellers motivated!! ! MLS#3466909. HM Properties. Eastover - Customer service and elite craftsmanship is their dedication. TIMELESS | TAILORED | COMFORTABLE | REFINED. MLS#3466468. Dickens Mitchener & Associates Inc.
Myers Park - A wonderful house for day to day living and entertaining. MLS#3466473. Cottingham Chalk. The covered porch and terrace have a magnificent vista of the perfectly landscaped expansive lot. MLS#3465202. Cottingham Chalk. You won't be disappointed. Sellers are motivated. MLS#3459622. Helen Adams Realty. Close to MP library, restaurants, grocery store and shopping. MLS#3466321. Cottingham Chalk. Don't miss this move-in-ready elegant home! MLS#3461181. Ivester Jackson Distinctive Properties. Pharr Acres - Sold for house or tear down. MLS#3464830. HM Properties. This in-town property offers ample living space with the ease of very limited yard maintenance. MLS#3464429. Dickens Mitchener & Associates Inc.